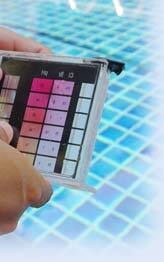 Choose swimming pool treatment service in Phuket that you can rely on their service. Find it now in Phuketindex.com you can see a list of swimming pool treatment service in Phuket that you will save time more than another place in Phuket. "Chainaris Phuket Engineering" A complete product line of air treatment and water & swimming pool treatment in Phuket. Water Works Warehouse has grown to become the largest and most comprehensive trade and retailer of swimming pool, pond, and Jacuzzi supplies in Phuket.